Exciting things are happening in our Roswell Community!! 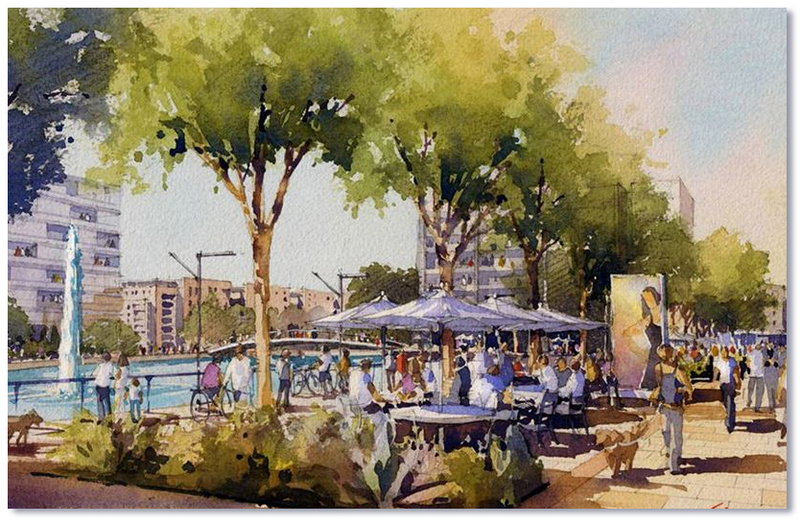 Riverwalk Village an ecologically focused development has been haled as the most up and coming pedestrian friendly community in Atlanta! I am thrilled to hear this development will incorporate the existing river park along Riverside Rd to residential homes, offices, schools, shops, hotel & restaurants and greenspace all within an easy on/off of HWY 400 and Holcomb Bridge Rd. I am even more excited to hear the bike paths and pedestrian trails will eventually link with the Big Creek greenway with a proposed tunnel under Holcomb Bridge Rd. Finally, Atlanta will rival other cities with a coherent plan for alternative bike paths and greenspace within a beautifully planned community! What about traffic? With an early off ramp you will be home ~ less traffic on Holcomb Bridge Rd., easier commute and potentially with more Class A office space in Riverwalk Village means more options for working in the immediate proximity of your home! with the larger lots be concerned for future resale? I would say, ‘not to worry! !’ There will always be buyers who want privacy, larger home lots w/ mature trees and the traditional home. Although the housing trends are pointing to more communities like Riverwalk Village, homeowners must also recognize that in these newer communities you will be experiencing a more urban lifestyle with closer proximity to neighbors and less privacy. Recognize that there are all sort of buyer profiles and land is a finite entity. Those of us on larger pieces of property will always have a unique value proposition. Dirt prices continue to rise and Buyers will always be weighing their options between the various community options. 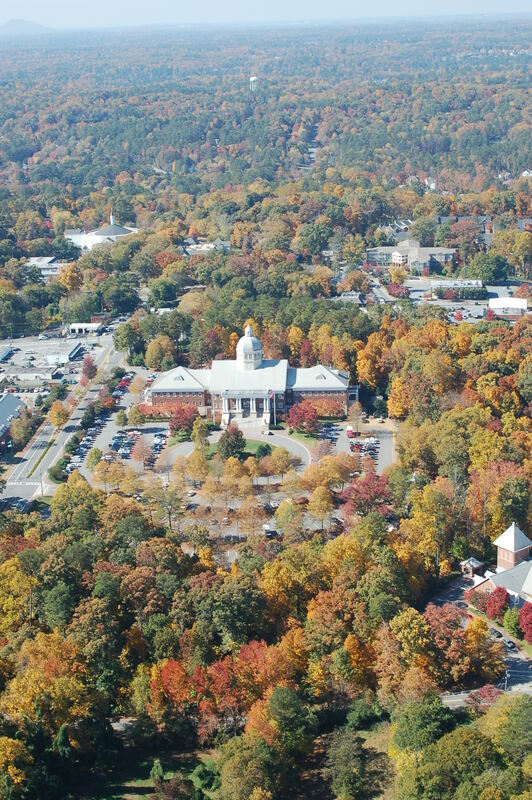 If you haven’t Really Seen Roswell lately, Get Out and Explore all it has to offer! Take a stroll down Canton Street and experience the magic of bistros, art galleries, boutiques, and fine dining. 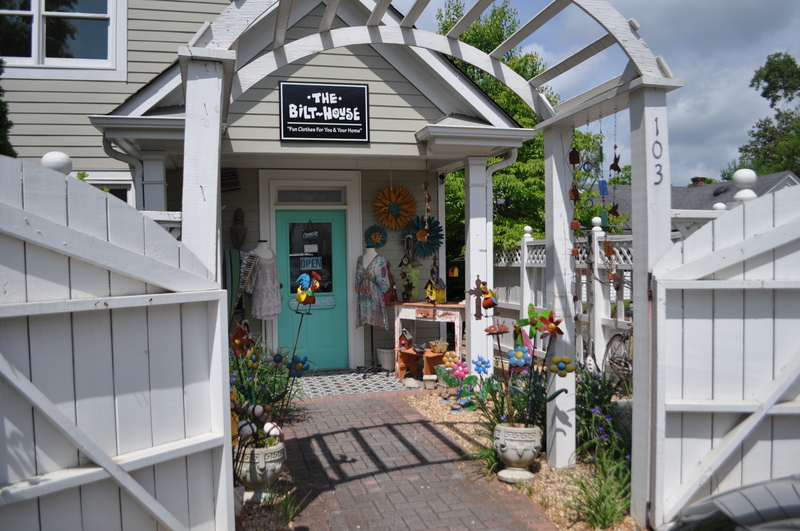 Walk up the small side streets for other great finds ~ Roswell is known for it’s many restaurants and small town cultural events alike. Here is a short list of places & events you might like to explore. Things are Happening in Roswell ~ Enjoy!! As of July 1st – A new golf cart ordinance takes effect. Citizens will be allowed to drive PTV (personal transport vehicles) on any public street with posted speed limits of 25 mph. Riverside Sounds Concert Series – This concert series at Riverside Park goes through October on the 1st Saturday of each month! Food trucks will provide refreshments. River Whyless Performs July 11 – Roswell’s Riverside Sounds concert series continues with experimental folk-rock band River Whyless on Saturday, July 11, from 7:00 to 9:00 p.m. Food trucks—including Meatballerz, WheelyGrilly, and a snow cone vendor—will be on location starting at 6:00 p.m. Alive After 5 – Festivities are alive every 3rd Thursday from April to October. Come out to enjoy live music, free trolley rides, face painting, extended retail hours, and much more in historic Roswell. as things begin to develop around Roswell. We will alert you to community meetings and more. Contact Janet Weidmann with the WOW Team to learn about the real estate in Roswell, your immediate neighborhood and other local happenings. Link here to find out the real value of your home. Have you met the HENRYs? If not, let me introduce you. The HENRYs are High-Earners-Not-Yet-Rich households who represent an increasingly important consumer group with strong spending power today and the potential of becoming wealthy. Not defined by age or occupation, they are identified by income. HENRY’s represent a growing group of homebuyers who, in many cases, can afford high-end homes. Defined as consumers with combined household incomes between $100,000 and $250,000, HENRYs come in all age groups (no, they are not all young). They are excellent prospects for luxury home purchases, beginning at the entry level of luxury and moving up. About 25 million U. S. households fall into this category. That’s about 20% of total households. More important, HENRYs make up about 90% of the affluent consumer market. 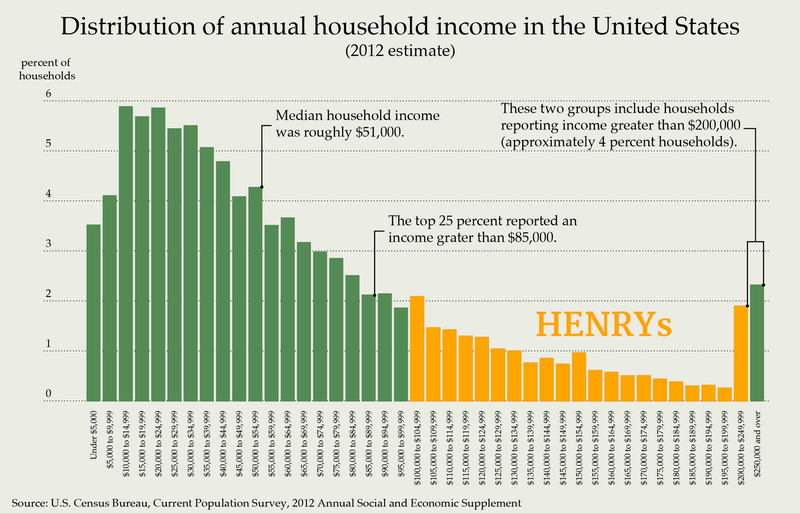 In almost any spending category, HENRY’s are the affluent top 20 percent account for about 40 percent of total consumer spending, as measured by the Bureau of Labor Statistics. While this group may not be buyers and sellers of homes in the double digit millions, they are often buying in the top 10% of the market. They respond to stories. What stories are you telling about your listings? They are executives and managers and they don’t leave their smarts at the office. They are careful buyers and their bragging rights come from making a good deal. So, think VALUE and remember that a good deal isn’t always lowest price. They buy premium products. Is your service premium or standard? Original article posted: May 04, 2015 at 09:42 AM in Luxury Home Marketing Tips, Research & Statistics. Contact Janet Weidmann with the WOW Team to learn about the real estate in your immediate neighborhood and other local happenings. Link here to find out the real value of your home. detached houses in January 2015. That represents a DECREASE of 7% over same period last year. the end of January with an INCREASE of about 12%! 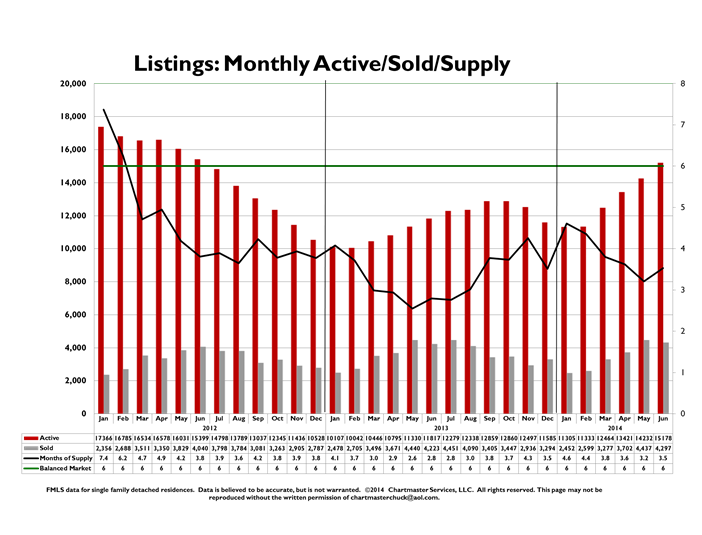 NUMBERS are UP – The Median Sales Price rose during last 2 months of 2014 due to a decrease in supply, but now SUPPLY is UP in January 2015. What does this all mean? What does this mean for Buyers & Sellers? There is more inventory to choose from as Sellers become more confident in putting their homes on market due to higher sales prices. Sellers are digging out from being under water. Interest rates continue to be historically low. Interest rates historically tend to shift upward in the spring and back down again at year’s end. With interest rates low and affordability high Atlanta is #1 of the Top 10 Housing Markets in the nation. According to Realtor.com, Atlanta is predicted to have a 6% increase in home owning households over the next 5 years. Where will these buyers be purchasing homes? Contact Janet Weidmann with the WOW Team to learn more about the real estate in your immediate neighborhood. Link here to find out the real value of your home. Why are statistics so important? Stats help us see around corners. As professional REALTORS ~ The WOW Team wants to better predict what to look for and how to plan and strategize for pricing property and negotiating on the buying side. Understanding 3 market views allows Buyers to maximize their evaluation of current prices, and allows sellers to position their property to maximize their sale price with less time on market. Historic indicators predict this activity will ripple out to the suburbs. We are watching in town condos where sales are 14% above 2013. Historic indicators predict this activity will ripple out to the suburbs. As single family houses become more expensive due to short supply, condos and townhouses become more attractive. Condo prices are going up because detached single family prices are going up. The Atlanta market is in a “self leveling market” which simply put, means there are no extenuating indicators to give sharp up or downward momentum. 1-7% is a normal market for measuring an increase of median pricing. 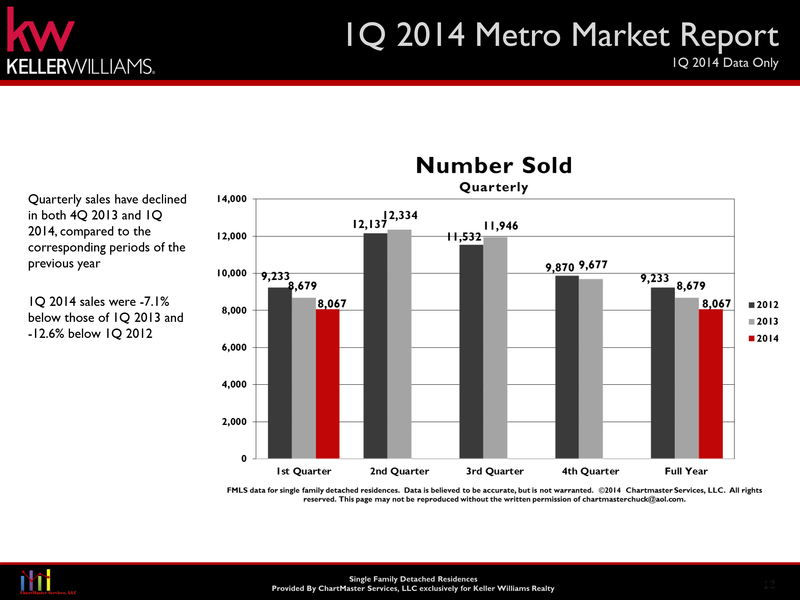 The median sales price rose by +7.1% in 2014. 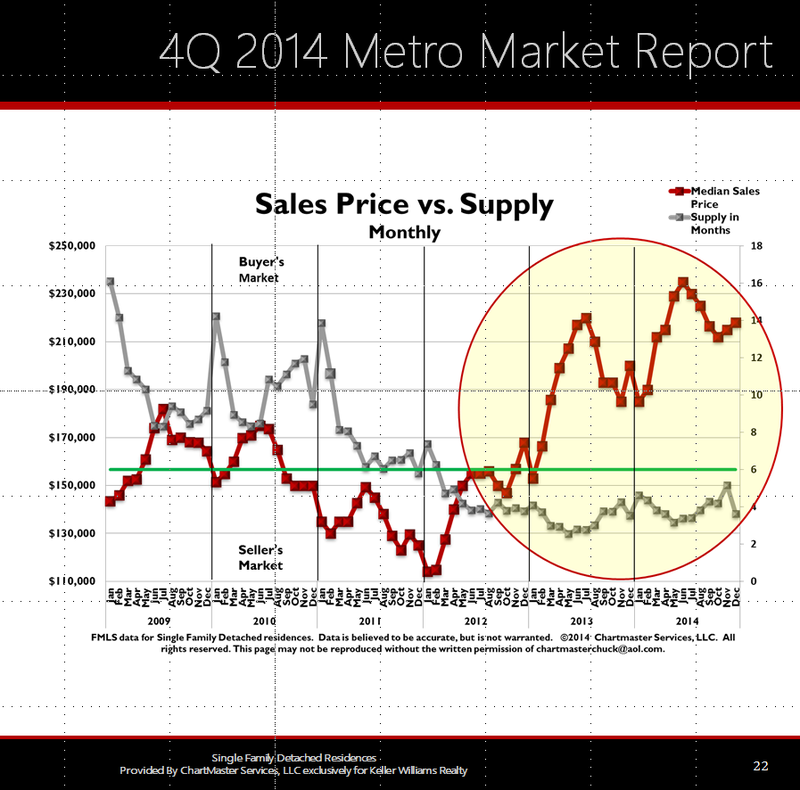 The median sales price was higher in September 2014 than the previous high median September price reached in 2007! WE ARE BACK!! 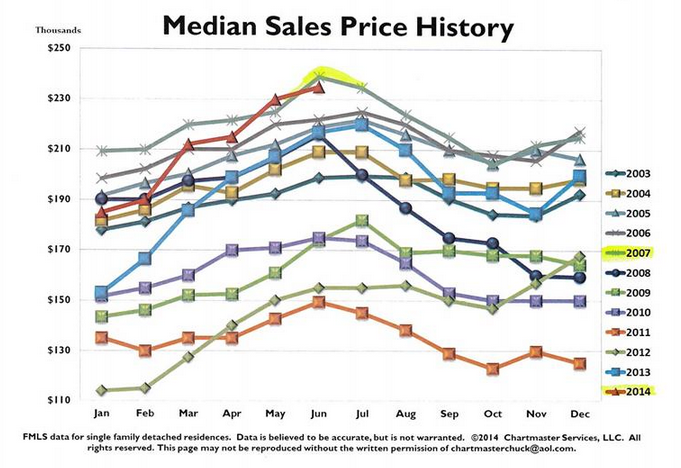 The chart attached (right) shows our median sales prices shown monthly, and by year. 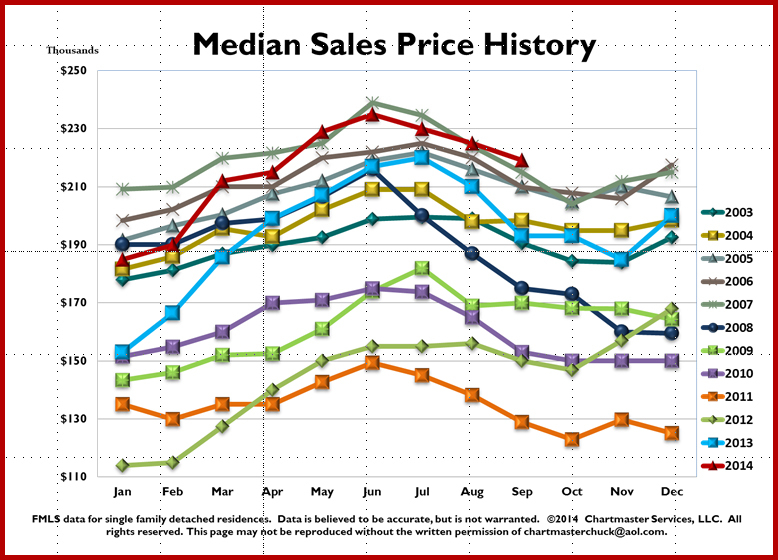 2014 is indicated with the red line and shows that the median sales price was higher in September 2014 than the previous high median September price reached in 2007! Looking back (2008 through 2014) on the activity of closed sales and the seasonality of the market the chart above shows we have consistent sales throughout the years, regardless of what kind of market we are experiencing. The blue bars at the bottom indicate the number of closed sales. The red bars indicate the amount of inventory. So, listing your home say in December could be a good thing since inventory is so low and there are still Buyers looking for good homes. How does all this play out in community? 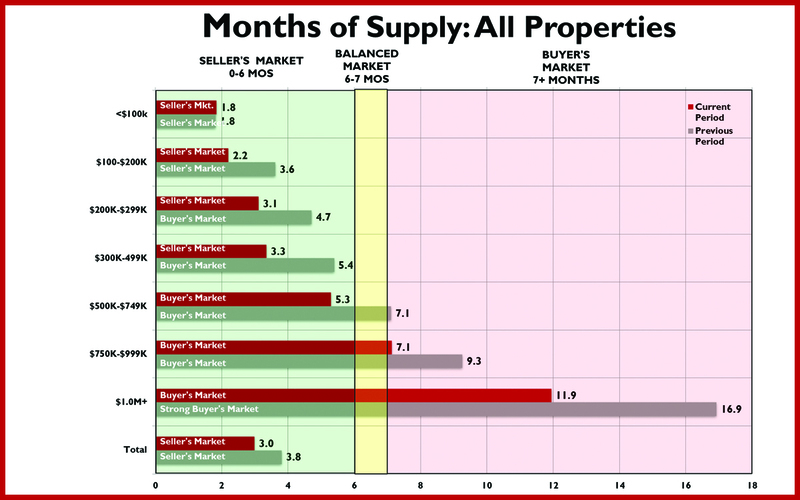 If you want more in depth information of months of inventory, or sales… we have those stats too. 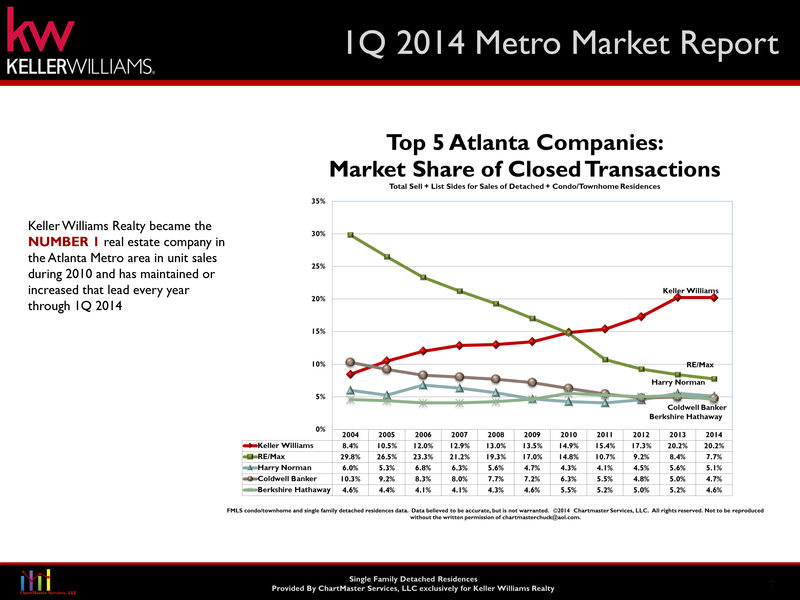 This report is more of an overview for the Atlanta Market. The good news is that prices are still attractive and interest rates are comparatively low. It’s still a great time to get into the market!! The WOW Team will continue to re-evaluate market trends and look around corners so you don’t have to! Like the WOW Team Facebook page and keep up with our latest news. Connect with Janet and the WOW Team to find out more about today’s real estate market. be concerned for future resale? There will always be buyers who want privacy, larger home lots w/ mature trees and the traditional home. Although the housing trends are pointing to more communities like Riverwalk Village, homeowners must also recognize that in these newer communities you will be experiencing a more urban lifestyle with closer proximity to neighbors and less privacy. Recognize that there are all sort of buyer profiles and land is a finite entity. Those of us on larger pieces of property will always have a unique value proposition. Dirt prices continue to rise and Buyers will always be weighing their options between the various community options. Watch for more updates as things begin to move forward. The WOW Team will alert you to community meetings as more news of the development unfolds. The WOW Team hopes everyone has a wonderful fall season! KWFA, The Rawls Group, has hired a statistician to study the quarterly statistics in our Atlanta Market. Quarterly stats come out 4 times a year. 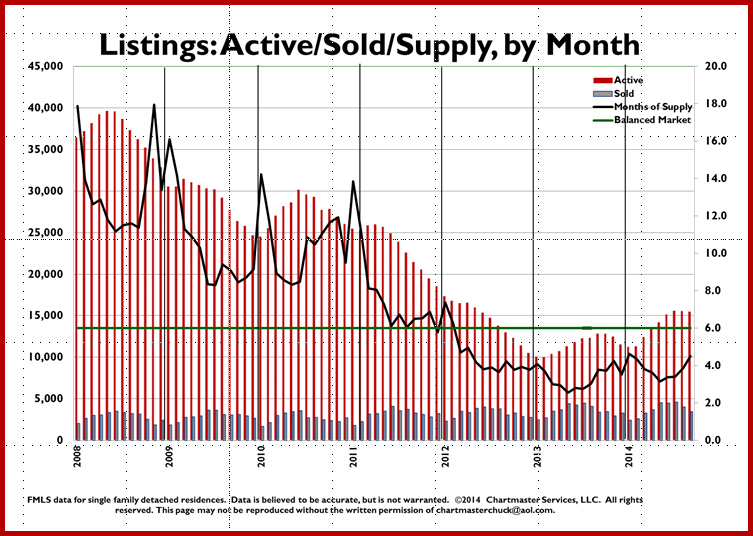 Increased inventory is a sign of confidence with Buyers & Seller. Homeowners are finally digging their way out of being under water. The Supply / Demand relationship is still a Seller’s Advantage with distressed properties (if you can find them!) . . . Quick action and serious offers are required when high-value properties are found. Expect multiple offers. Strategies for Sellers: Maximize selling price and minimize market time by choosing an initial listing price that represents a high value compared to competing listings! Janet Weidmann & The WOW Team! For more information on North Fulton and its communities contact Janet Weidmann of the WOW Team. Visit the WOW Team website to begin a Home Search or link and find the true “Market Value” of your home. One of the benefits in working with the WOW Team and Keller Williams is that we have hired a statistician to study the quarterly statistics in our Atlanta Market. First Quarter Stats just came out and I would like to share some of the applicable points to all my clients. I hope you find these findings of value. We strive to keep you always informed and updated. 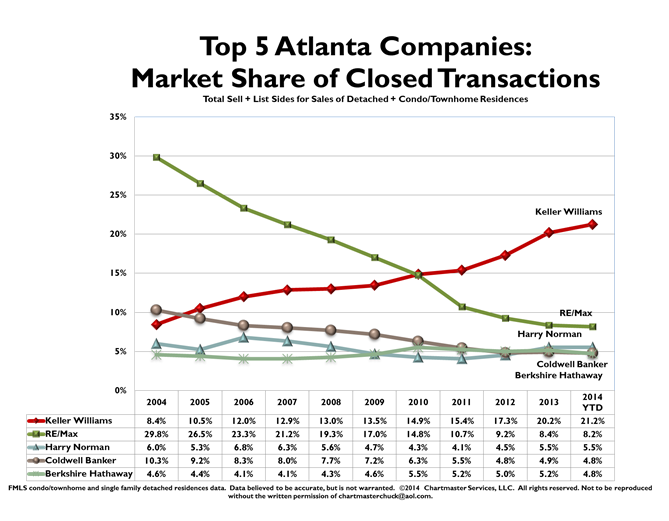 KW First Atlanta (KWFA) has 20% market share while the other top players trail with 8-10% market share. This is partially due to the low end homes not flooding the market and investors getting out of the market. A result of homeowners electing NOT to sell because they don’t know where to move or they are opting to stay put as a more conservative approach to their post-recession lifestyle.
. . . but this will change as the population in Atlanta increases due to the technology hub in Alpharetta, sports and corporate headquarters, etc., etc. The chart right also shows the “TRY-ers” are many and the SELLERS are fewer. The “try-ers” are not going away . . . they still have houses to sell and will be out there again and again in the future. There is a margin of error in a Buyers’ market so trying a higher price initially is conceivable.Emotion drives Buyers in a Sellers’ Market. After trying the market sellers should adjust of understand the consequences . . . so . . . in effect this means . . . In all price points it’s okay to try a price but if after 2 weeks the market responds without an offer then it is important to adjust. (In past Buyers markets with HIGH inventory) it was most important to get the price right immediately. LOGIC drives Buyers in a BUYERS Market; for all the sellers who are in a Buyers’ market (500,000 and above) one needs to make adjustments in price sooner to secure a buyer. 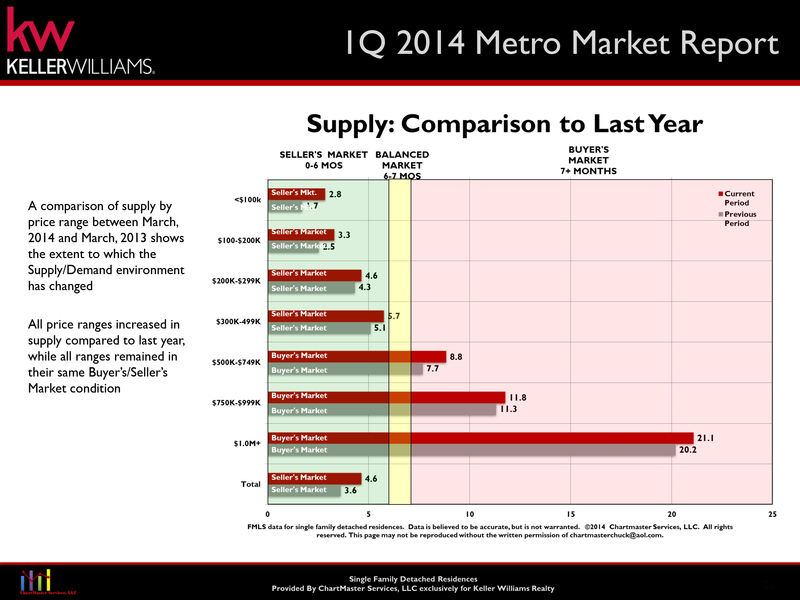 Furthermore it is important to note that supply of inventory has increased in every price category from 2013. The WOW Team wants you to be a knowledgeable investor. 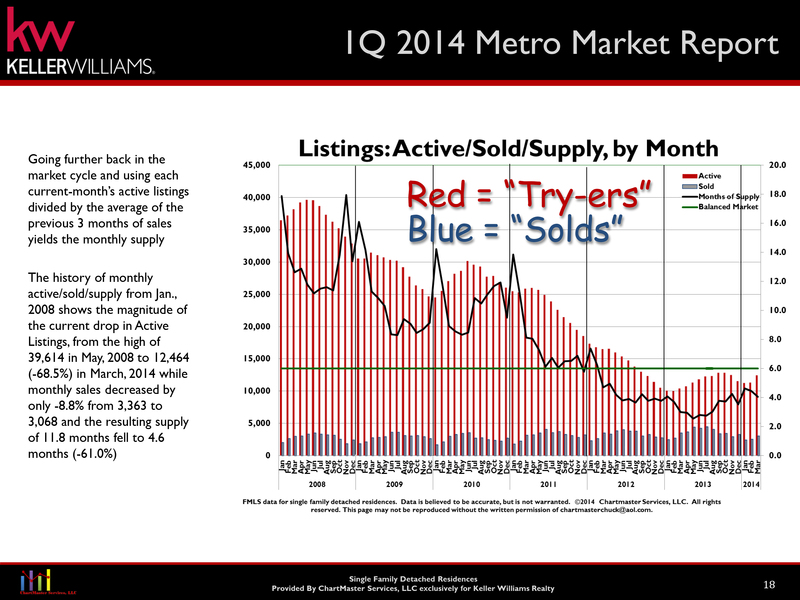 We have current market data at our disposal and would like to share it with you as a real estate buyer or seller. As a member of the Keller Williams Team, Rawl’s Group, The WOW Team has access to a wide resource of market data. Research and analysis of this data is performed by ChartMaster Services, LLC, an independent data analysis firm retained by the Rawl’s Group to provide its agents with the resources they need to act as qualified counselors in Metro Atlanta real estate ventures. Chart 1 (above): The chart shows a comparison of supply by price range between June 2013 and June 2012. It shows the extent to which the Supply / Demand environment has changed. Contact Janet Weidmann and the WOW Team for a detailed review of market data and how it relates to your real estate interests. They will welcome the opportunity to pull a Current Market Analysis for your home and neighborhood. Chart 2 (below): Significant reductions occurred in all price ranges with the supply, dropping by 22% compared to June 2012. 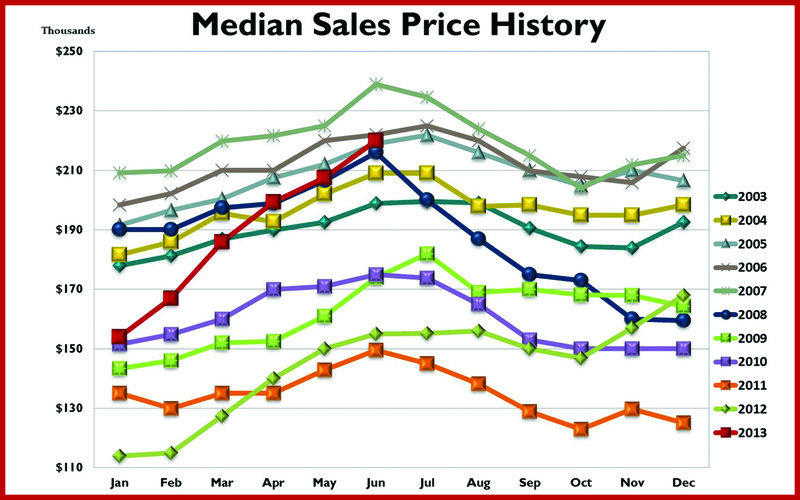 The chart shows the Median Sales Prices monthly, by year. It illustrates the degree to which prices are changing now compared to years past. For more information on your specific neighborhood or the local real estate market in general contact Janet Weidmann of the WOW Team. © 2013 – ChartMaster Services, LLC, which cannot and does not warrant the accuracy or completeness of the data or its publications. FMLS data for single family detached residences. Data is believed to be accurate, but is not warranted.